We have more than 150 years of experience in remanufacturing cylinder heads! Add this store to favorites. It is important to read the notes below to ensure compatibility with your vehicle. 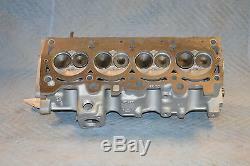 If you need help with locating the casting number from your old cylinder head, please contact customer service. 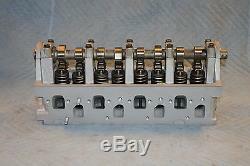 Description: Chrysler 2.2L 782-R Cylinder Head - Roller. It is expected that you will return your old cylinder head core to Allied Motor Parts within 45 days of receipt of the new head. Your core return can be in any condition as long as it is complete and all original parts are there - broken, cracked, disassembled - are all okay. Returning your core is easy. You will receive your new head in a substantial box along with a pre-paid return label. Allied Motor Parts has over 150 years of experience of remanufacturing automotive and light truck cylinder heads. Within our 25,000sf plant located just south of Atlanta, we have a large selection of cylinder heads to cover most all makes and models. Every cylinder head goes through detailed cleaning, machining and expert reassembly before being thoroughly tested. All of our cylinder heads are assembled to OEM specifications or better to guarantee your satisfaction. All work is done on our premises and starts with a complete tear-down and thorough inspection of every head entering our shop. After a complete evaluation of all components, its on to our state-of-the-art, 3-Step thermal cleaning system and magnafluxing; followed by our unique pressure testing tank which checks for final hidden cracks and imperfections. At this point, the head enters the second stage of our high tech machine shop where ASE certified machinists and technicians handle the precision stages of restoration to ensure you of superior workmanship and quality every time. CBN resurfacing is performed to eliminate the possibility of head warpage. Valve seats are triple angle high performance cut. Each valve is machine dressed at the stem and face, conforming with OEM specs. All springs are tension tested, and worn rocker studs are replaced when necessary. In addition new freeze plugs, pollution plugs, valve keepers and valve seals are installed. The cylinder head is then vacuum tested to ensure proper seating of all valves. Specifications and technical updates are readily available with our AERA data program. This information is utilized during the remanufacturing process to ensure accuracy at all times. Only after a final inspection are heads stamped with an inspectors stamp, packed and shelf stored in our climate controlled inventory area. All this and more, linked with the courteous and friendly service you receive equals the pride put into the quality you deserve. The item "88-95 Chrysler 2.2L Roller 782 Cylinder Head" is in sale since Tuesday, March 15, 2016. This item is in the category "eBay Motors\Parts & Accessories\Car & Truck Parts\Engines & Components\Cylinder Heads & Parts". The seller is "alliedmotorparts2001" and is located in Atlanta, Georgia. This item can be shipped to United States.